On May 19, McDonald’s introduced, Happy, a new animated character along with a new low-fat yogurt side option, both for Happy Meals. McDonald’s says on its website that Happy was made to create excitement for healthier food choices that Happy Meals now provide. Happy will be the brand ambassador for the healthy choices which, along with new the yogurt, include apple slices. It is part of McDonald’s ongoing dedication to improve children’s nutrition and healthier choices. The initial response on Twitter showed that Happy didn’t get the welcome McDonald’s hoped for. Customers have described Happy as terrifying, scary, creepy and some have said the mascot lacks creativity. The response on other social media sites like Facebook and Youtube has not been any different. Parody videos about Happy are being created, daily. Terrifying and a Minion Copycat? While some are terrified by Happy, others see it as a copy of Minions from the Despicable Me film franchise. People see a lot of similarities. Both animated characters do not speak yet communicate in a series of boops, beeps and kissy noises. 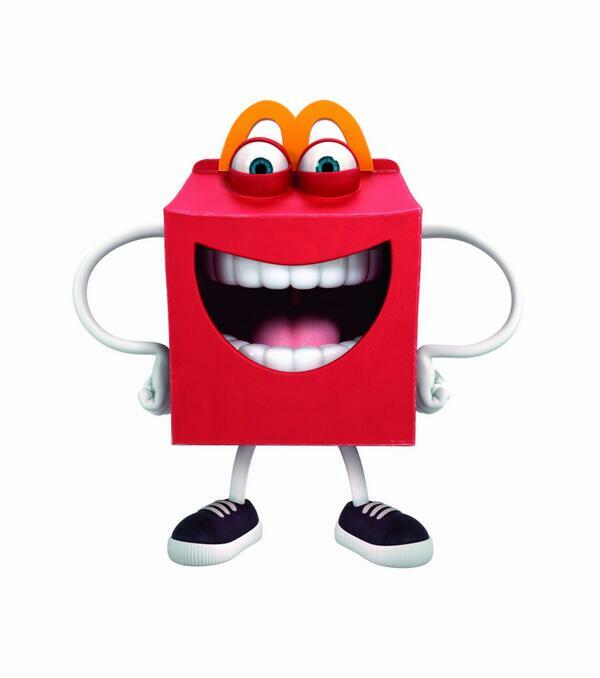 However, this is not the first time McDonald’s introduced Happy. This animated character was first introduced in France in 2009, while Despicable Me was released in 2010, making the criticism less valid. 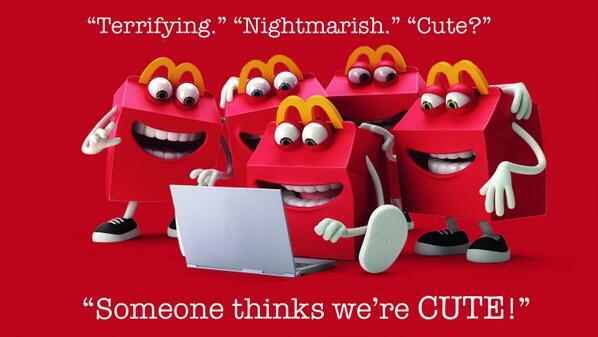 Although not much of the feedback is positive, McDonald’s is keeping Happy around. They even added a little humor by posting a picture where a group of Happy characters are in front of a laptop reading the feedback. But the question has to be asked. Did McDonalds make a mistake with introducing Happy? Tell us what you think. Be sure to like Innovative PR on Facebook and follow us on Twitter!